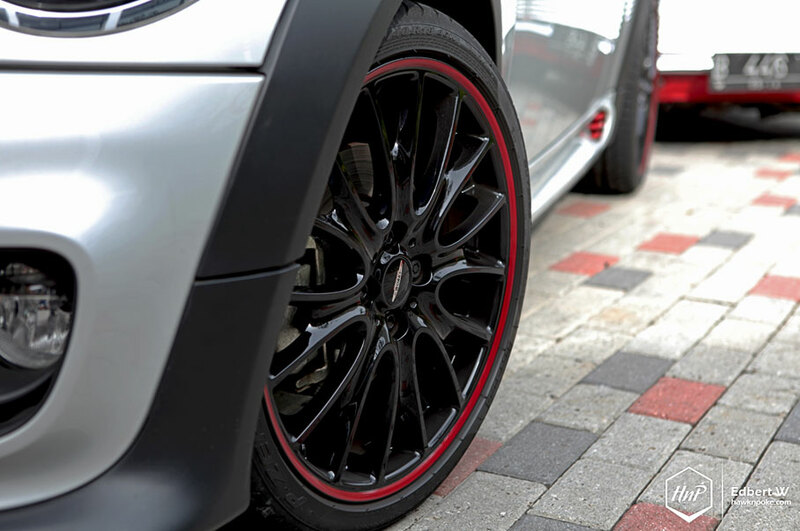 Another great automotive weekend for the HnP Team. 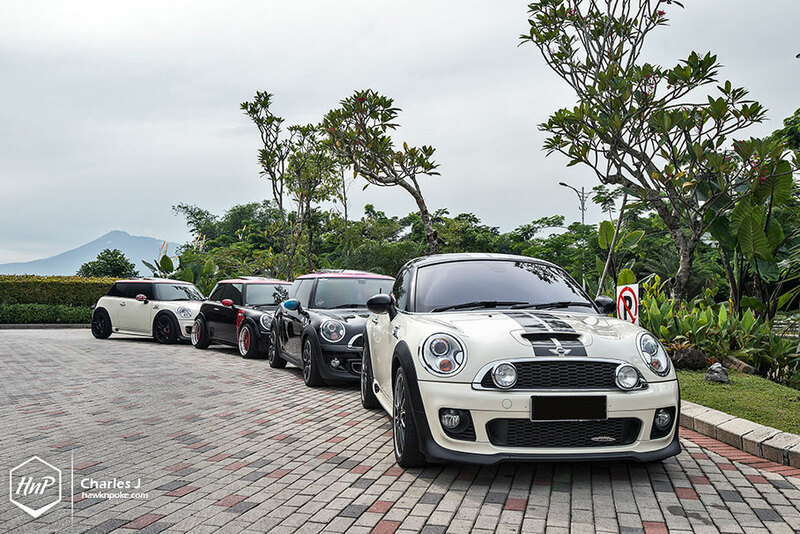 Enril from Indo MINI Club invited us to join their morning run and gathering yesterday, 8 December 2013. 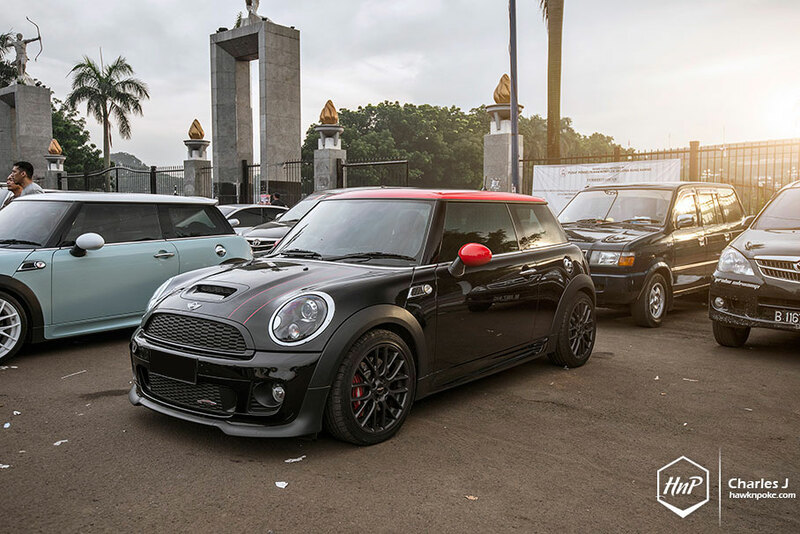 Attended by around 20 cars from Jakarta and Bogor, the casual event was infused with a lot of fun drives and a great photoshoot location at Aston Bogor. 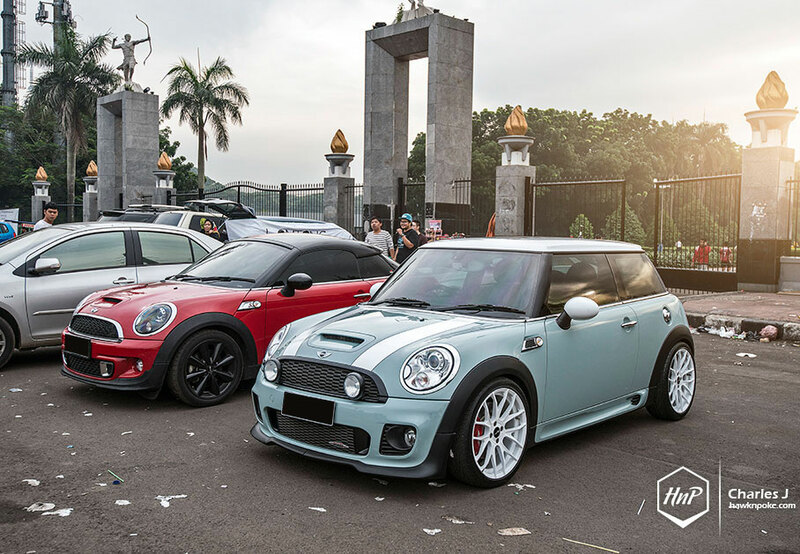 Meeting point was at the Panahan Statue area 05:30 in the morning, followed by a morning cruise towards Bogor. 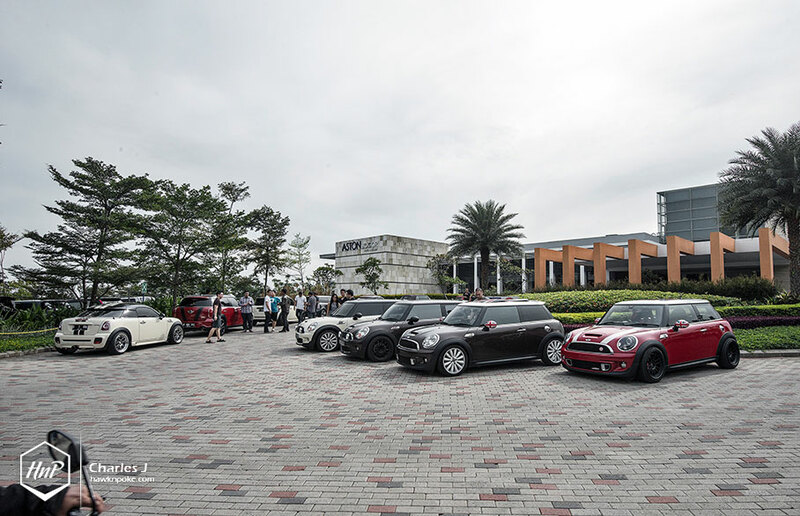 Enjoy the photo coverage done by our in-house photographers Charles J and Edbert W! 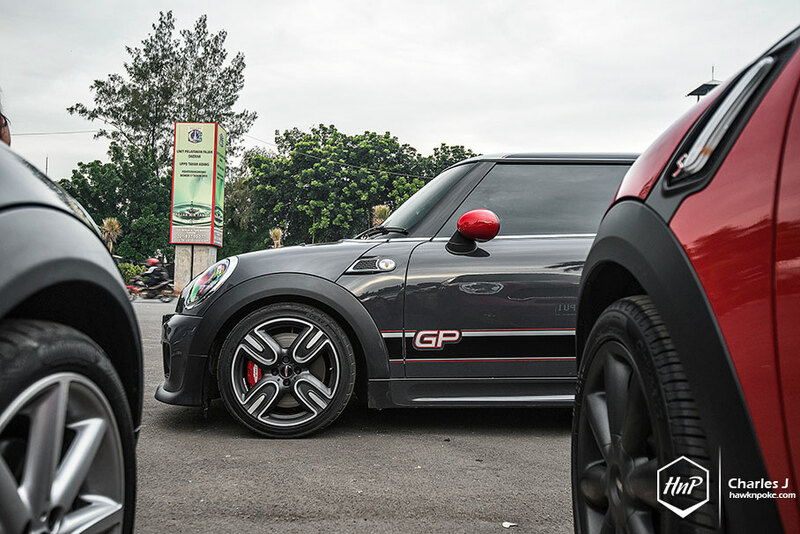 A special appearance of the MINI JCW GP. 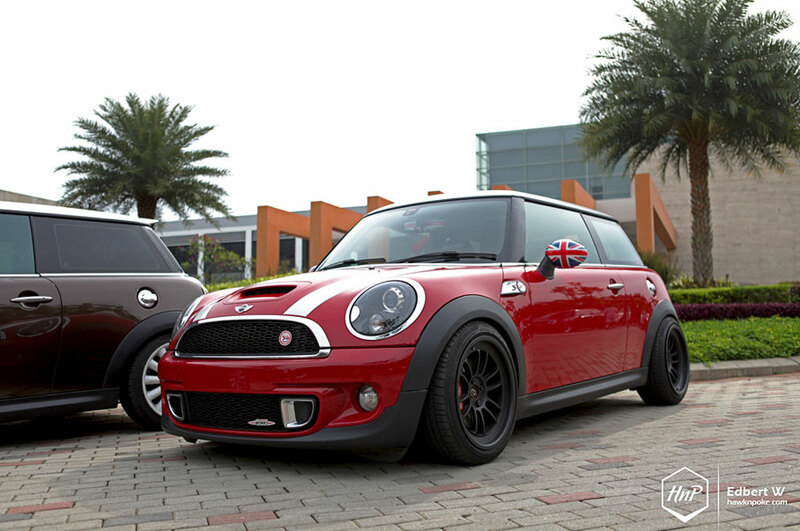 The rare, jaw-dropper, performance-infused super MINI. 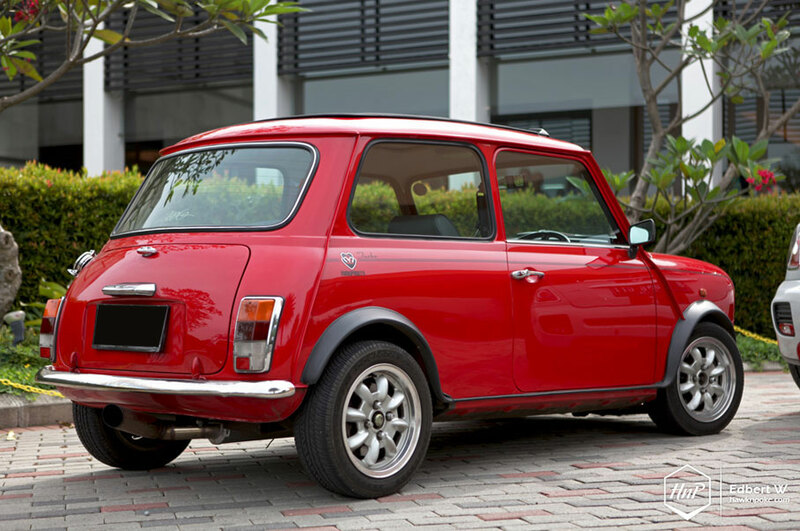 Deemed as the quickest MINI ever produced, the hot hatch came standard with a fully-adjustable set of coilovers, plus the drool-worthy special paint job. 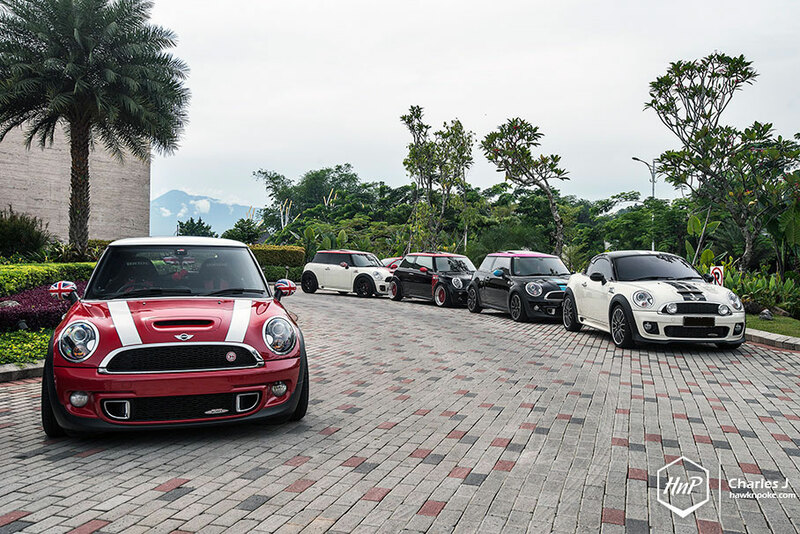 A large variant of MINI models showed up that day. 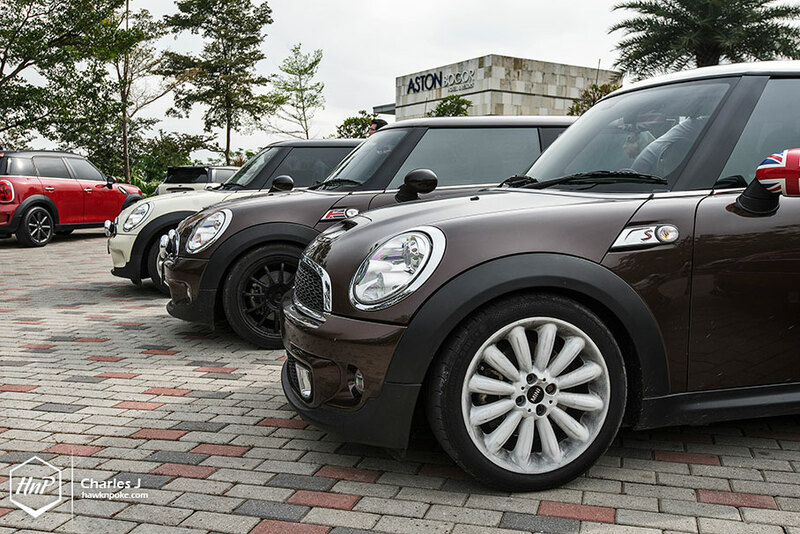 With each of them showcasing its own unique characteristics. 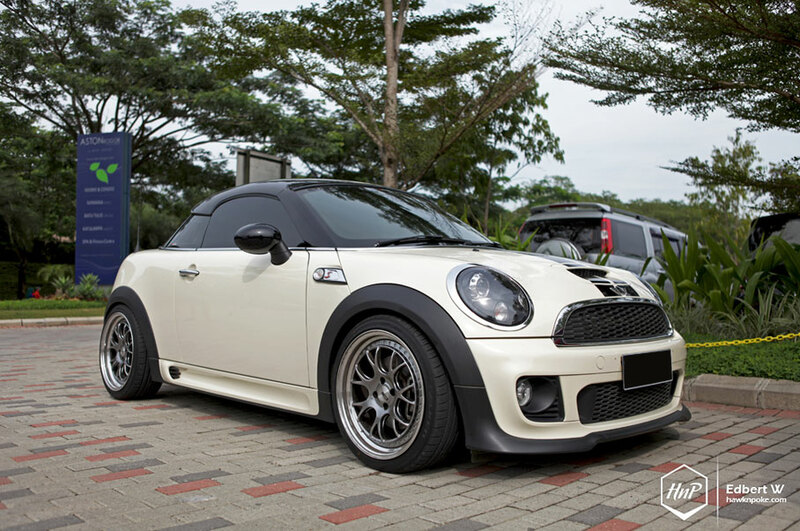 Coupled with those white wheels, this MINI’s paint scheme has been fantastically executed. Enril and his aggressively cambered pocket rocket. 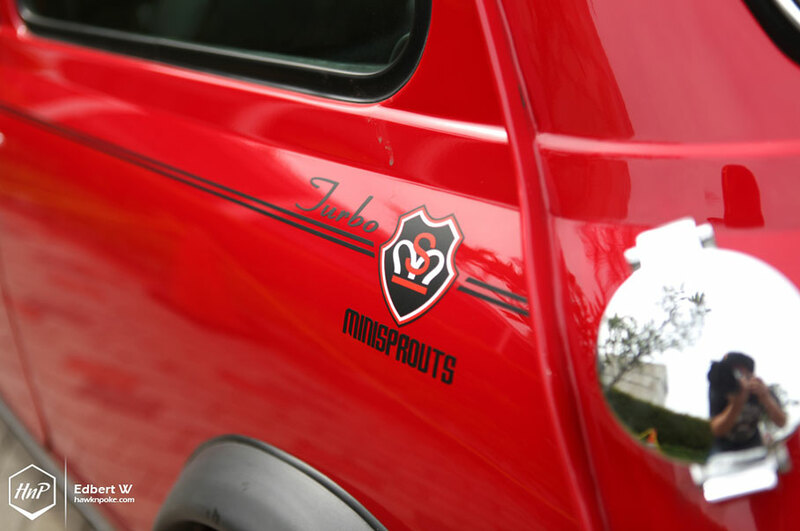 This engine-swapped turbo-boosted Morris churned out one of the most memorable engine noises that day. 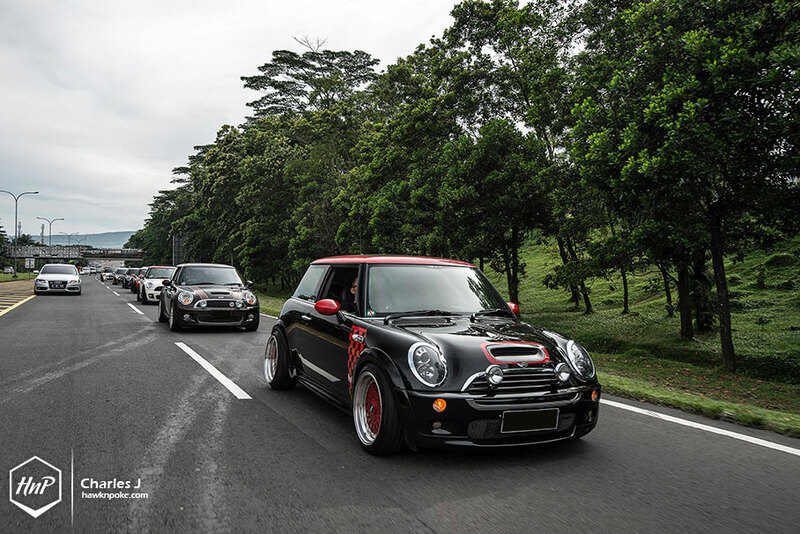 A wonderful, traffic-free cruise on JAGORAWI highway, heading towards Bogor. Can’t help but to take plenty of pics during the cruise. GET ME. I’m pretty sure that’s what the plates are saying. Nice one. 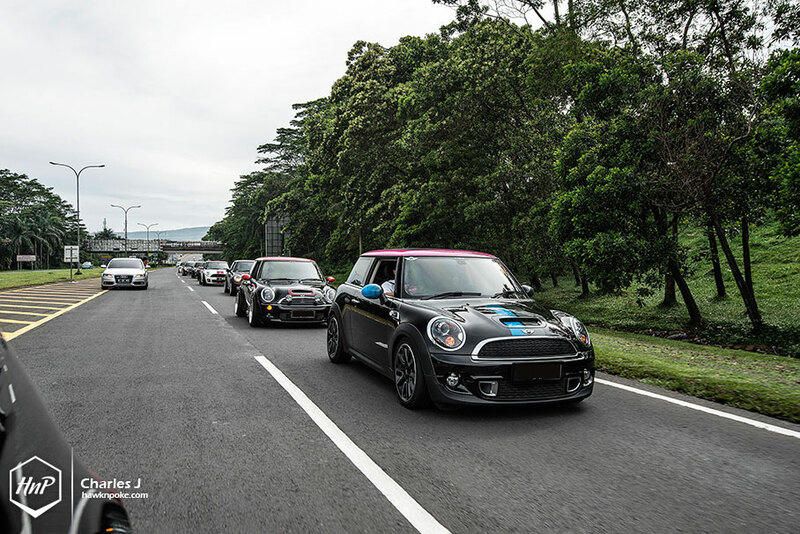 Entering the Bogor area, the MINI squad was greeted by its Bogor members. Final destination: the Aston Bogor Hotel at Nirwana. 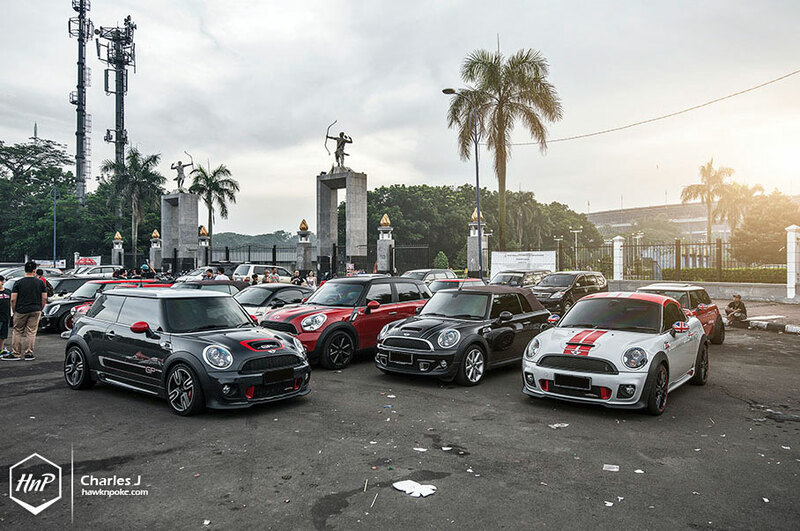 An array of reserved parking spaces have been prepared for the MINI squad. As well as reserved seats at the hotel’s buffet restaurant. 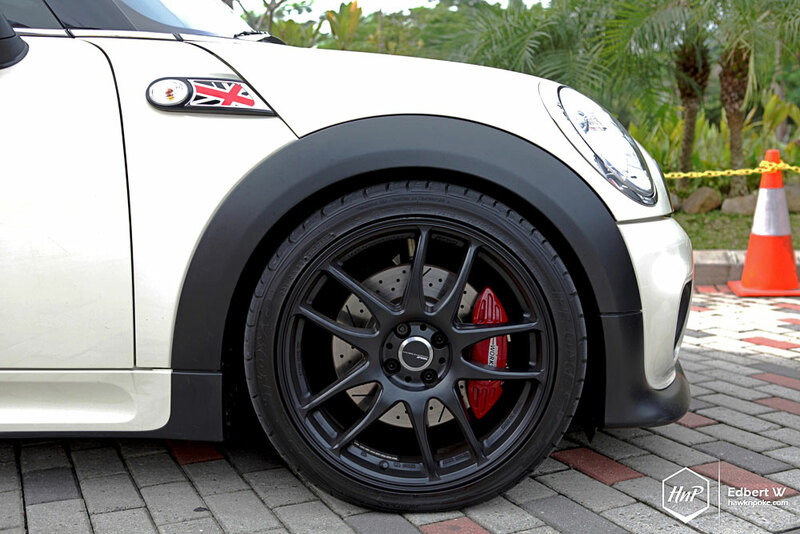 Despite its British origin, I find these Japanese wheels to look especially good on MINI’s. Giving them that much more eccentric appeal. 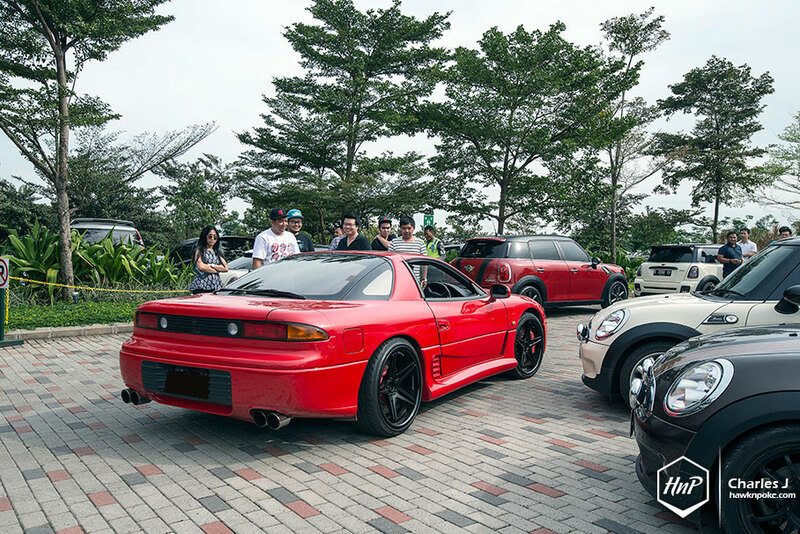 Among those greeting the MINI squad as they entered the Bogor area was this GTO. A very pleasant surprise for us. Want your team/squad to be featured on our site? 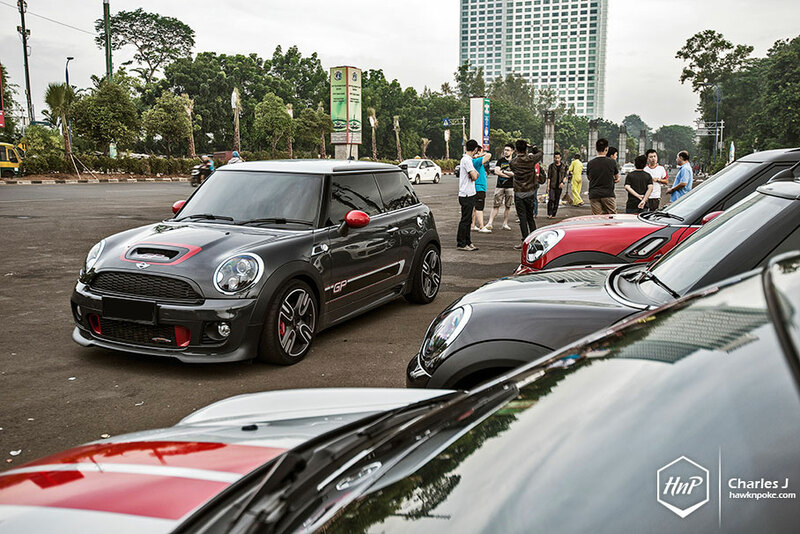 Simply drop us an email at hawknpoke@gmail.com.